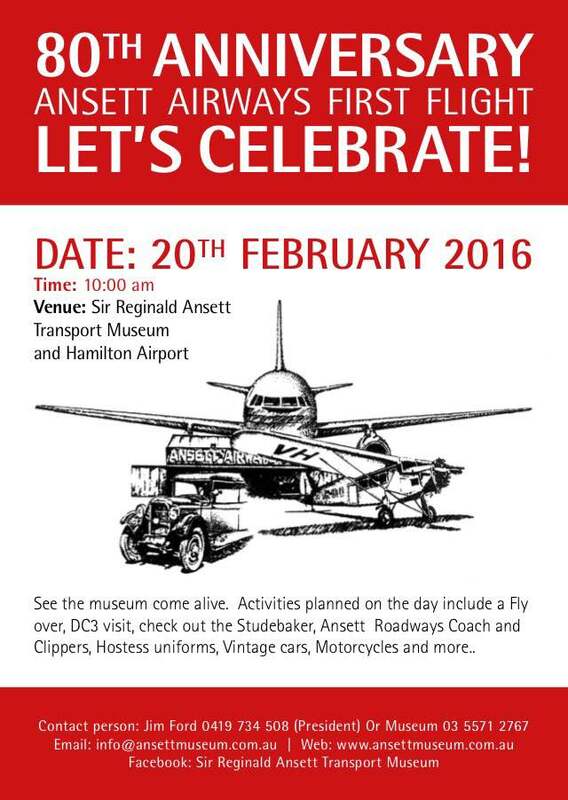 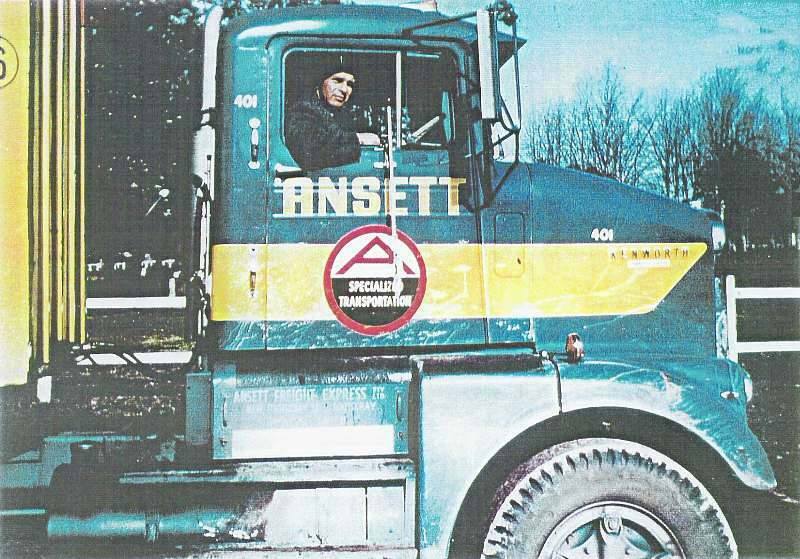 Check out the latest information on our website page for the 80th Anniversary. 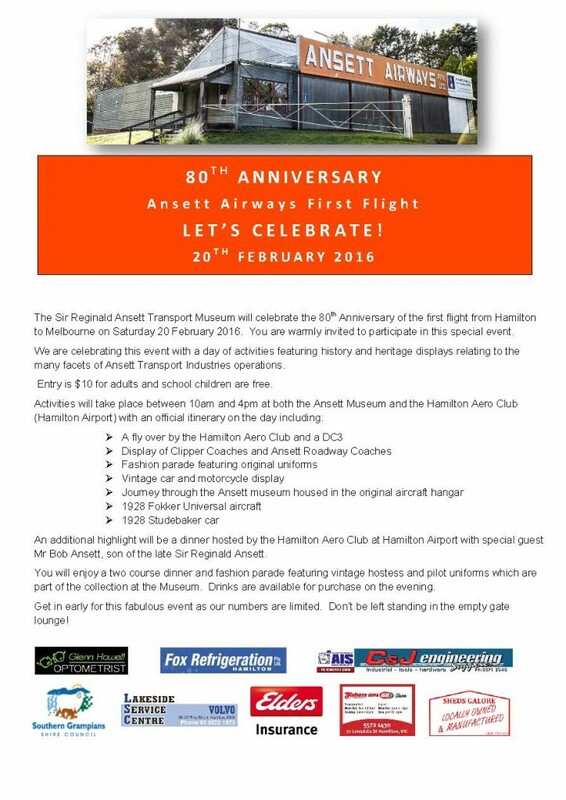 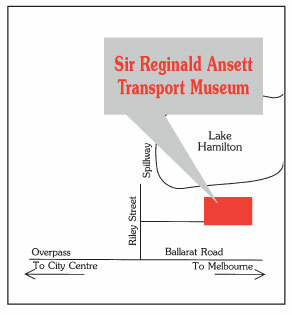 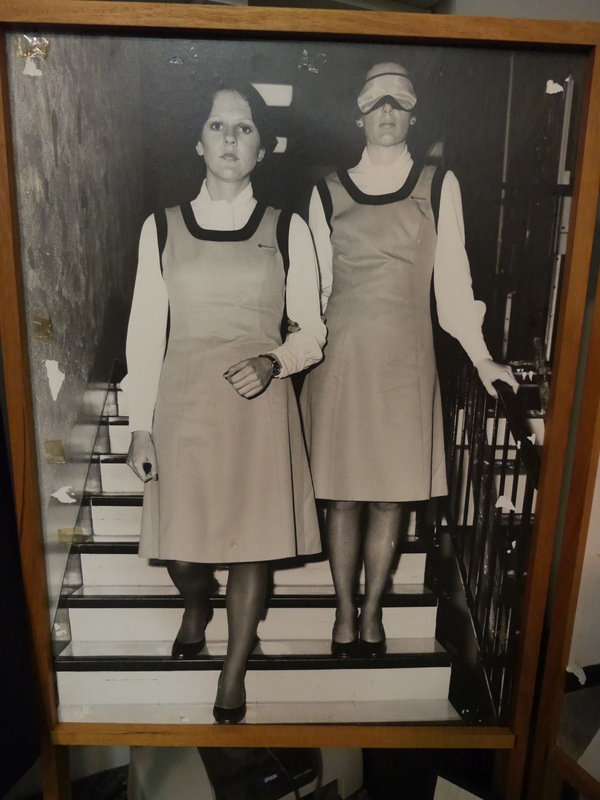 Bookings are now available for the dinner where you will enjoy a two course meal hosted by the Hamilton Aero Club @ the Hamilton Airport with special guest Mr Bob Ansett, son of the late Sir Reginald Ansett and a fashion parade of vintage pilot and hostess uniforms. 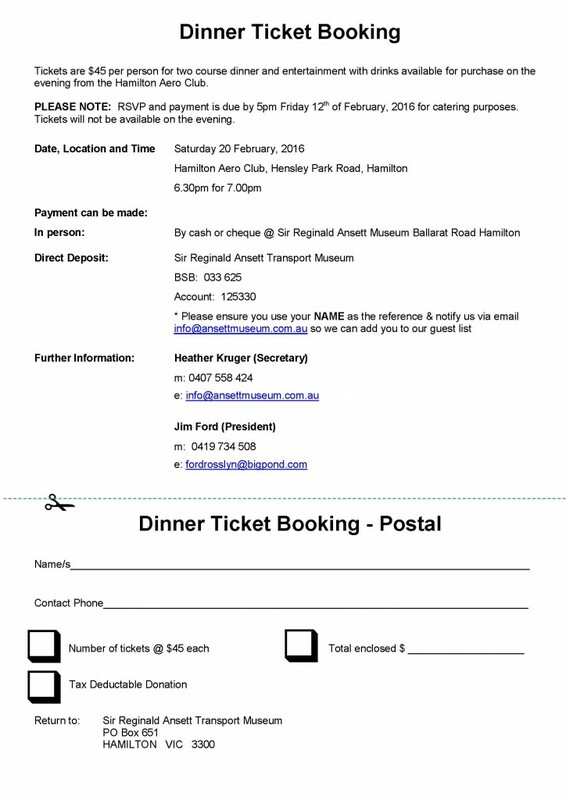 RSVP for the dinner needs to be received by Friday 12th of February 2016.